If there was one pattern that I had to wear every day for the rest of my life, it would be plaid. Granted, stripes are a real close second. There is just so much that you can you do with plaid. While plaid might be synonymous with fall and winter with all the boots, it can transition to spring and summer easily. Pair it was shorts and skirts for a simple look. Or throw a button up plaid shirt over a tank top (or dress) for a bit of extra warmth on a cool spring day. 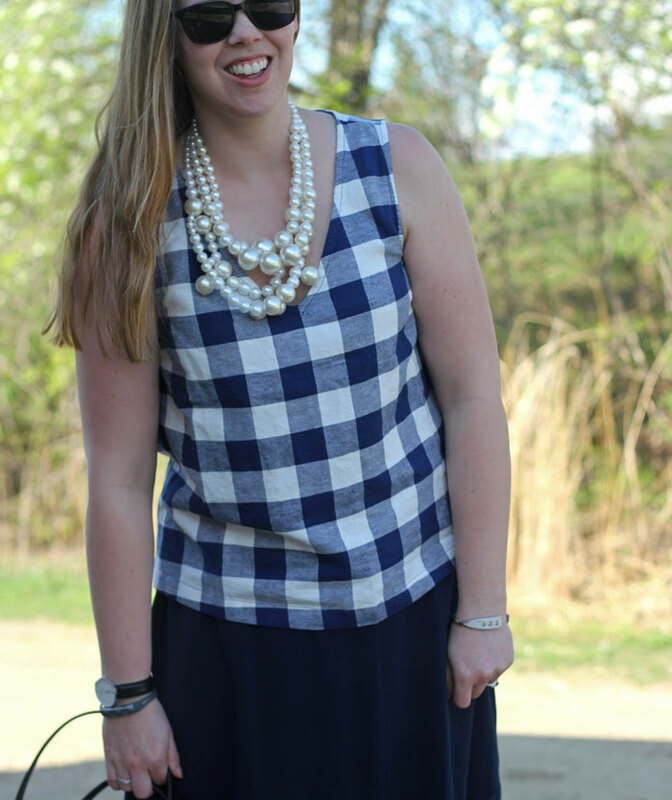 Or if you want to stay in the plaid family, go with the fun little sister gingham! A soon as I saw this top at Old Navy, I knew I had to have it. 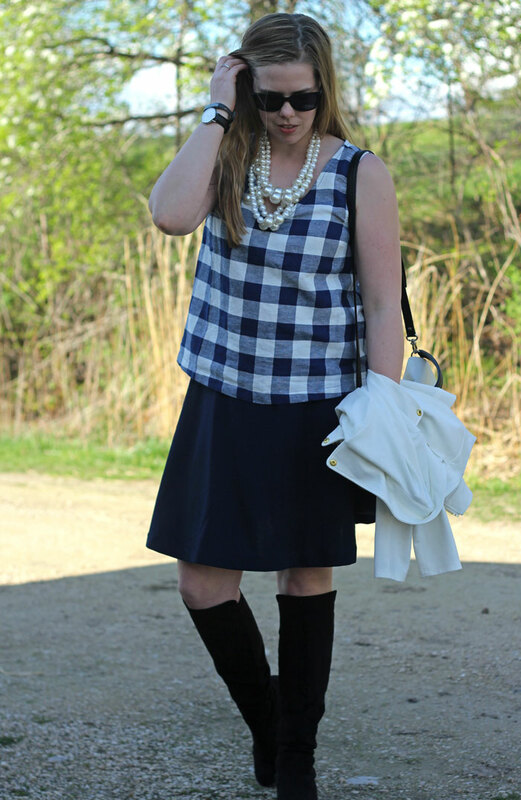 Navy, plaid, and a swingy cut? Yes please! I know I'll be wearing it all spring and summer. Just thinking of wearing it with white jeans makes me giddy with excitement! How are you wearing plaid this spring? Last week was full of some pretty awesome graphic tees. If you haven't already, go check out the top clicked links! The TBB bloggers were looking sassy in graphic tees as well. Next week's prompt is my jam as well with leggings and a scarf from Katie @ Mishaps & Mayhem of a Solitary Life. Please link up on the Blended Blog to show us how you would wear the prompt! Blogging about fashion, style, and my bookworm ways. Cute puppies and kitties always get me. What does your Graphic Tee say about you? Cardi + Tshirt + statement necklace and jeans.